From the time when the very first 62MAS got wet, to the time when troops in Vietnam picked up their 6105 Divers, to the last 6309 Diver that rolled off the production line in 1988, all of SEIKO’s true divers were manufactured by Suwa Seikosha division. Despite internal competition between SEIKO’s two factories being the guiding policy over those decades, Suwa (now printer manufacturer Epson) was the only factory to produce the first four generations of mainstream, as well as Professional (Cal 6159), dive watches. 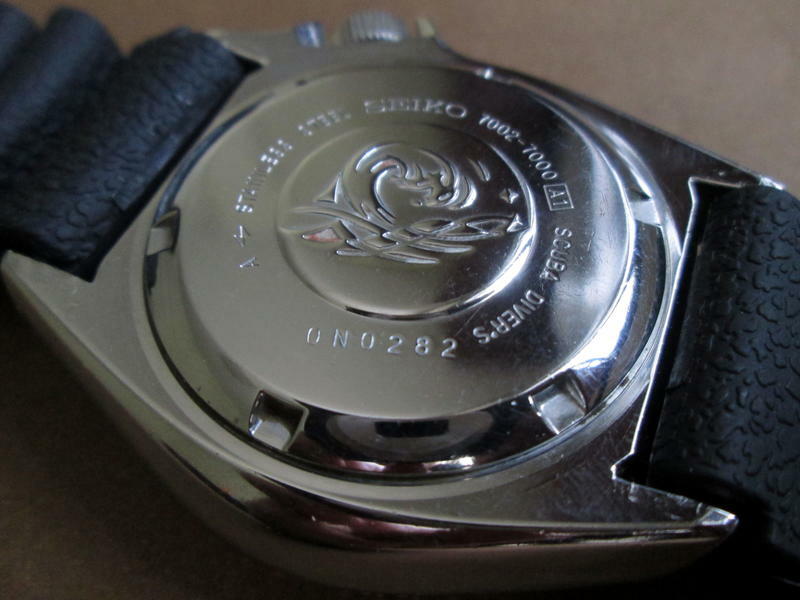 In 1988, Daini Seikosha (now Seiko Instruments Inc.) took over SEIKO dive watch with the Cal 7002 Diver, utilizing their own 3rd Generation 7000 Series movement, developed independently of, and thus unrelated to, Suwa’s 62, 61, and 63 Series. Daini Seikosha 4th Generation 7000 Series that followed is better known as the Cal 7S26 that equipped SEIKO’s mainstream SKX Divers for two decades and counting. The 7S26 was further developed to become the much-loved Cal 6R15. What’s more, the 7S26 later gained auxiliary manual-winding and hacking, resulting in the now popular 4R36 Divers. 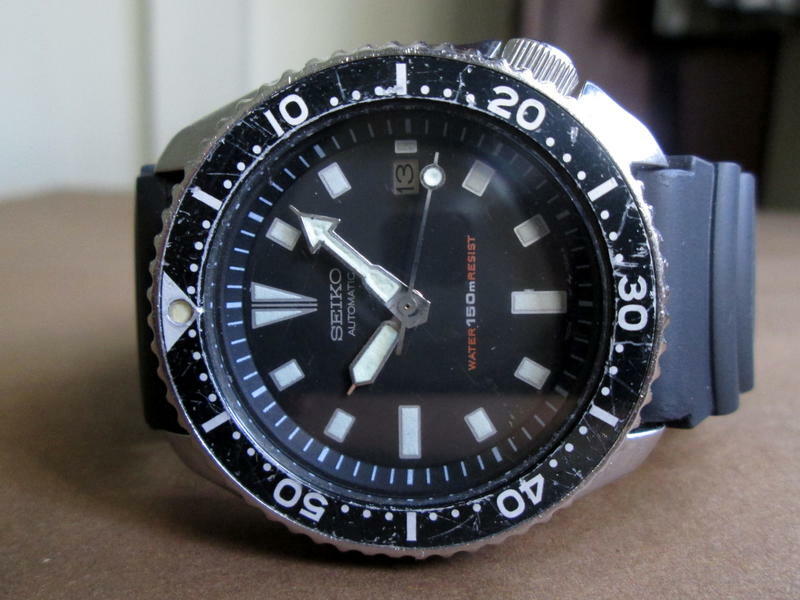 So, with the exception of the 8L and 9S Series divers, every SEIKO mechanical diver today is, in fact, the direct descendants of, not the 62MAS, but the Cal 7002 Diver. The 7002’s styling legacy lives on in the current SKX007/173, which retains the classic theme. 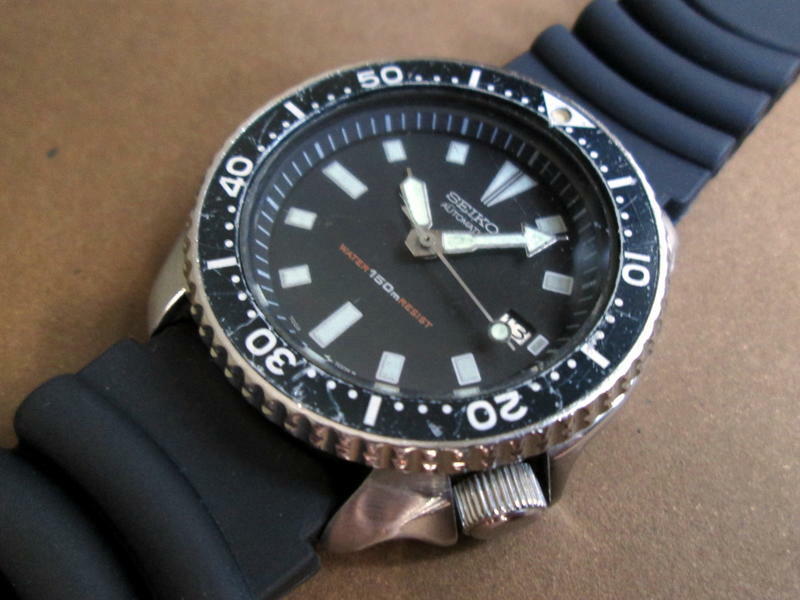 On offer today is the First Generation Cal 7002 150m Diver, reference 7002-7000, first introduced in 1988. The movement is the SEIKO Automatic Cal 7002, designed to optimise functional stability through rational re-arrangement and reduction of the number of parts needed. This workhorse is renowned for its robustness and ease of maintenance. Because of their ability to stand up to abuse, these divers were usually purchased to be used, and used hard, and most on the market are sadly just that—abused and neglected. It is therefore very rare to find all-original specimen, with no after-market reproduction parts, such as this specimen from 1990. MOVEMENT: SEIKO Automatic Cal 7002, 17 Jewels, 21’600 A/h, QuickSet Date, Power reserve of 43 hours. CASE: Stainless steel (diameter: 41 mm w/o crown, lug-to-lug: 45 mm, thickness: 13 mm, lug-width: 22 mm), bi-directional rotating elapse-time bezel (ORIGINAL), screw case back, screw-down crown. All original apart from the inevitable replacement straps, the condition of this 29-year-old vintage rates overall TKNZ “VERY GOOD” (83%), The bezel turns bi-directionally, as it should, with clicks. The original Hardlex glass is in very good shape with only minute blemishes, as can be expected. While this model is often criticized for its poor lume, the hands and bezel pip have fared okay for the three decades that it has seen, and still glows faintly in dark. I have fitted the SEIKO with a new, unworn silicone straps, Z22 curve-vent style. These are very comfortable on the wrist, and worlds away from stock SEIKO Z22—the set installed are unworn. The Cal 7002 was last service-overhauled in late-2015, and it shows, with accuracy within 14 sec/day and a better-than-specs power reserve of 45 hours. The accompanying photos, taken yesterday, form a part of my description—please study them well. The 7002 and I are both in Bangkok, Thailand, and plenty of references are available both here and on TradeMe (dontia). Payment is to my New Zealand bank account, and the asking price includes delivery to NZ by Registered Airmail, with Track & Trace. Transit time is approximately 8 business days. For this particular watch, there will be no additional import tax/duty nor GST to pay. To inquire, please use the forum’s Personal Message facility only. Thank you for looking. Last edited by Don; 16-01-19, 12:13. Reduced to 295.- to help the Seiko find a good home. Delivered to your door. Thank you. Nice watch here Don. Not so easy to find now in this condition and if I I didn’t already have one I would have pounced. All times are GMT+12. This page was generated at 05:03.